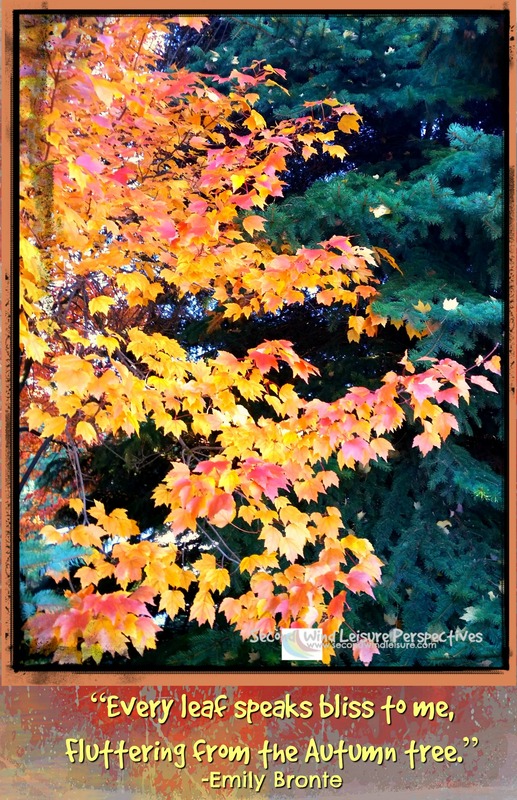 I took this image while visiting in Spokane, Washington in October where Fall was in its peak. I love Autumn, don’t you? In fact I love it so much, I have created a link-up just for your seasonal photos! I also added this lovely quote by Emily Bronte. Welcome to my new link party Seasonal Sensations! We will be keeping it simple, no featured posts, just a fun and colorful way to show off your seasonal photos. For November and part of December, we will share our favorite posts featuring photos of leaves and landscapes depicting Fall and Autumn. In mid- December through New Year’s, we will share photos of winter seasonal themes, snow, Christmas trees, lights, ornaments, etc. For my friends in the Southern Hemisphere, feel free to share your spring seasonal photos. For each post, I will tweet and pin. Check out the page here. Be sure to follow the rules and have some fun. To add your post to the group, simply click on the blue frog below and follow the simple instructions! I can’t wait to see your lovely Fall photos! Christmas Promotions – Starting November 13th – Smorgasbord Christmas Reading. Thank you so much Tina for all the shares! Very generous of you and much appreciated! Can I participate? I don’t blog about nature. I have blog posts with tree and flower graphics though. I could link those. Well the idea is to show photos of nature during the seasons. By mid-December we’ll focus on winter decorations, landscapes. I need linky parties where they pin. How do I sign up? Do you have a linky again? Wow – great minds think alike! I used this exact same quote on a pic of my parents’ Maple tree last fall! Great pic! Thanks, Gilly, it’s so nice to hear from you! I will swing back later once I find something to share that fits the bill. I just love the ‘Fall’ colours in the US Terri and it reminds me of each time we have visited. We usually visit in October/November and the colours are glorious. What a lovely way to start my week. Good luck with the link up. I should get out and about for my Spring photos for you. Go ahead and link that Jacaranda post/photo if you want! Great idea. I’m not a photographer, but I love indulging in the photos of others! Such eye candy! Gorgeous pic!! And such an apropos quote! I stll have my Mexico fans, apparently coming from Coffee Share. Oh, good, Betty Louise! I hope you can find a great Fall photo in a post you can link-up!